The forward helix piercing goes through the outer helix, or pinna, above the tragus, where the helix attaches to the face. This piercing has exploded in popularity over the years, especially done in multiples. 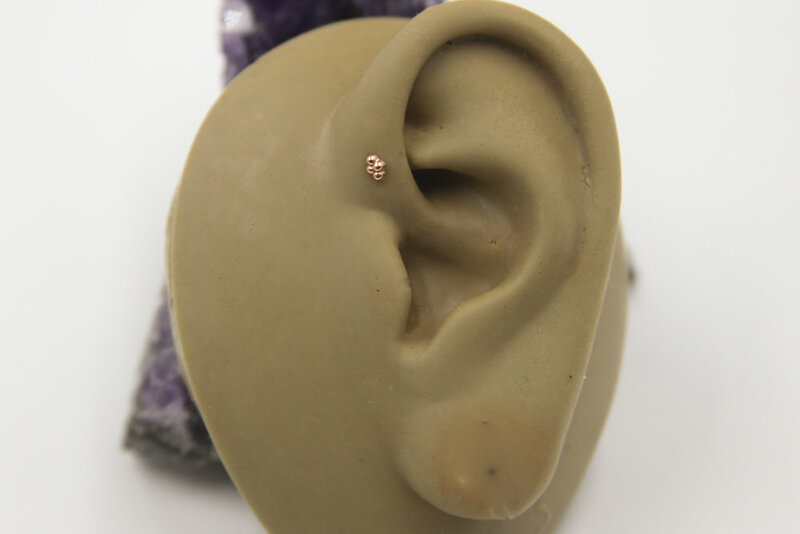 You can see this with a simple search for ‘triple forward helix’ on Pinterest or Tumblr.